Today’s and tomorrow’s posts are guest blogs from Jonathan Pearson, an anointed young man whose posts I ran across on Twitter and I asked his permission to use here at Tablet Of My Heart. He has deep insights from God’s word that I believe will bless you as they have me. It often seems like life is a series of unfortunate events. When you think you’ve found the conclusion to one problem, two more pop up. When you think you’ve survived one storm, another is on the horizon. When you feel you’re growing, something tries to tear you down. When you think you’re doing right, something goes wrong. When you follow the rules, someone that isn’t reaps the benefits. It has since Adam and Eve in the Garden. The Old Testament is filled with “Life hurts” kind of stories. Sometimes, life does have it’s highs. Sometimes, we feel like we’re exactly where we were meant to be. Sometimes, we find the good in difficult circumstances. Sometimes, God does the unimaginable in what seems like the inescapable. Sometimes, God parts the seas and allows us to walk through on dry land. Sometimes, God drowns the enemy that has pursued us. We all have those “Red Sea” moments in our life. 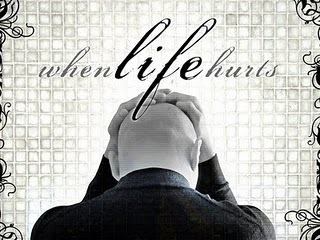 It’s these moments that we must remember when we’re facing a “Life hurts” moment. You’ve always made it through. But, God has been faithful in the past. He’s never let you slip away. Remember the Red Sea moments. Jonathan Pearson is a young leader with a heart for people that have never encountered Christ. His passion is to lead people to live in their full potential, in Christ. He graduated from Charleston Southern University in December 2009 and married the love of his life a week later. They moved to a small town outside of Orangeburg, S.C. to serve some amazing people. In his spare time, you will find Jonathan watching sports, talking about sports, or doing anything with sports. His blog is designed with the common person in mind, and his desire is that people learn from each other as they seek to become common people of uncommon faith. For specific questions, you can contact Jonathan via email at JonathanFPearson@gmail.com. You can also connect with him on Facebook, Twitter, Vimeo, and Flickr. You can find the above original post at http://www.jonathanpearson.net/2010/01/red-sea-moments.html.